It’s no secret that Kiko is one of my favourite affordable brands. It’s also no secret that I get a leeettle bit excited when they release a new collection – so I have great pleasure in sharing one with you today. 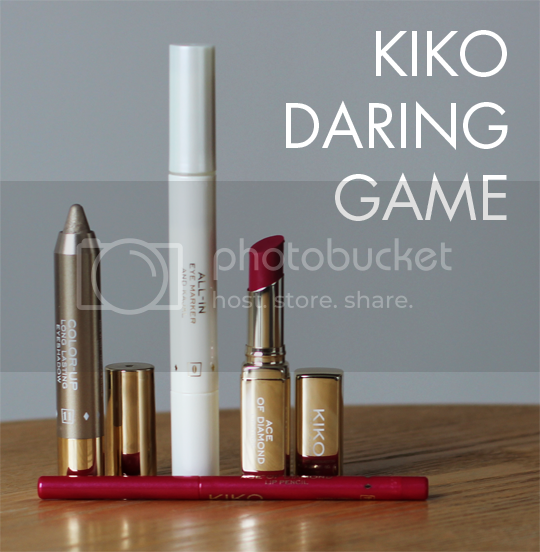 A gambling-themed, Bond girl inspired selection that offers a guilt free thrill if you’re the type to fancy a flutter; here is Kiko Daring Game. Kiko Daring Game encompasses pieces from blushes and bronzers, to an eyeshadow palette and a pretty unique powder brush, and even a skincare serum. Every single product is, as always, hypoallergenic, clinically tested and paraben free. The first of the bits I have to show you*, and most certainly my top pick, is the Colour-Up Long Lasting Eyeshadow in Charming Champagne (£7.90). Kiko seriously make some of the best eye makeup products I’ve ever encountered in my half a decade of beauty blogging, and this one is definitely fitting the pattern. Colour-Up Long Lasting Eyeshadow is not too dissimilar in formula to my beloved Long Lasting Stick Eyeshadows from the brand, just presented in a different format. It’s available in 10 different shades as part of Kiko Daring Game, and this one is indeed a charmingly sparkle-infused champagne shade that is beautiful just blended over the lid without any fancy shadow work. Of course, if you have the time and inclination it also looks stunning as the focal point of a more dramatic look but honestly, I like it on its own. There’s absolutely zero in the way of smudging, colour fading or creasing throughout the day (although I’d add the caveat that those with oily lids like me should apply a primer first for best longevity). Top marks! 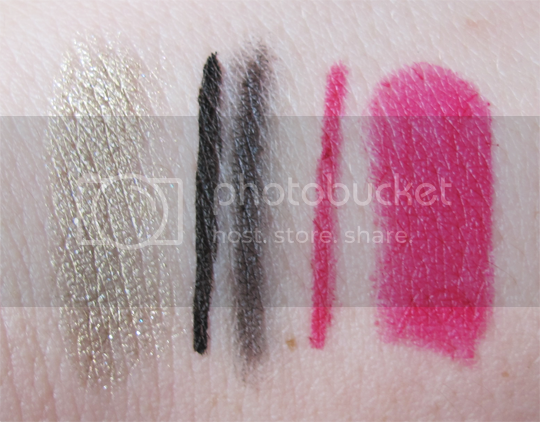 Next up, the All-In Marker & Kajal (£9.90). 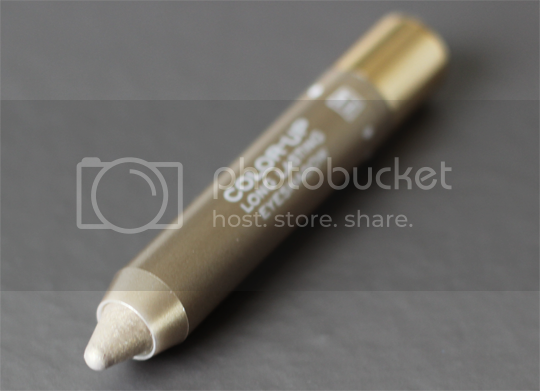 This clever double-ended product has the potential to fulfill every woman’s eyeliner needs, but there are a couple of things about it which fall a little bit short for me. 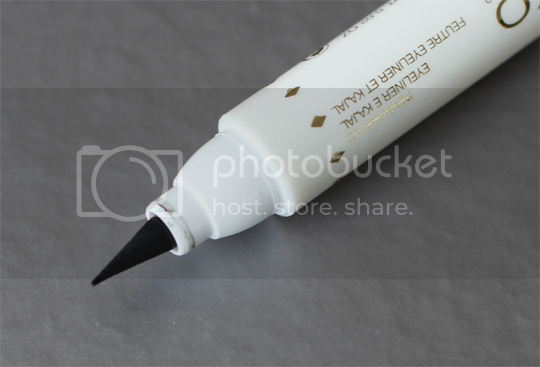 On one end, there’s a felt-tip style liquid liner for lining the upper lashline, with a suitably strong black colour that holds for hours and hours. However, I find the tip a bit too chunky and a bit less flexible than I would like (I prefer the L’Oreal Perfect Slim Super Liner). At the other end lives a twist-up kajal pencil that’s ideal for a smoky eyeliner look, it’s easy to smudge around and smoke out when first applied but dries down to a unmovable finish. 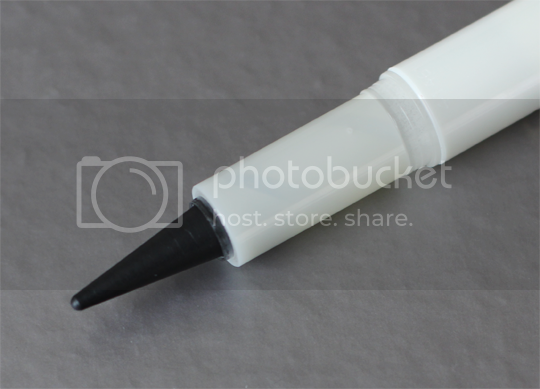 Unfortunately it doesn’t show up so well in the waterline, which is make-or-break for me in an eyeliner so overall, I’d have to give this potentially very practical product a miss. Down to the lips now, with the matching Ace of Diamonds Lipstick (£7.90) and Ace of Diamonds Lipliner (£5.90) in Distinct Golden Hibiscus. Kiko Daring Game features six gorgeous lipsticks and their corresponding lipliners. The lipliner is the twist-up type, so no sharpener required, and imparts an identically coloured base in preparation for the lipstick. Kiko say that its no-transfer forumula is long-lasting, waterproof and improves the hold of lipstick – and boy, does it (more on that in a moment!). 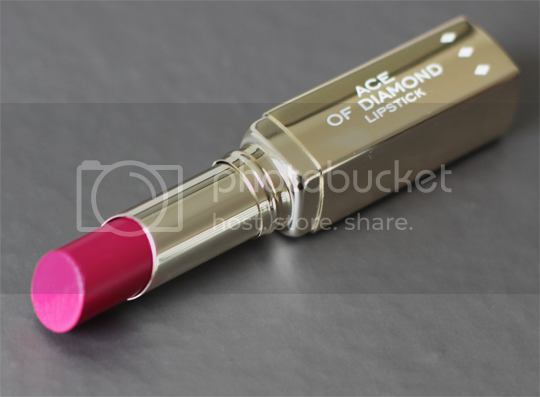 The lipstick’s finish falls somewhere between matte and satin, and is intensely pigmented in just one swipe. Super creamy, too, and paired with the liner, it’s there for the long haul. I wore them together, along with the Colour-Up eyeshadow pencil, to go out for lunch with the in-laws at the weekend. We stayed such a long time chatting and whatnot after our meal that we ended up ordering dinner as well – that’s a first, never done that before – and eventually got home almost 12 hours after we left. I hadn’t touched my lips up at all, in fact I forgot about it altogether, so imagine my surprise when I glanced in the mirror and it was completely, 100% intact. Maybe a bit less intense than it was half a day ago, but bloody impressive nonetheless, lasting through 12 hours, two meals and countless drinks. Actually amazing. So, there’s my two cents on the Kiko Daring Game collection. Eyeshadow pencils highly recommended as always, and I still can’t get over the incredible wear of the Ace of Diamonds lipstick and lipliner. Do check out the collection online, or in-store if you can. 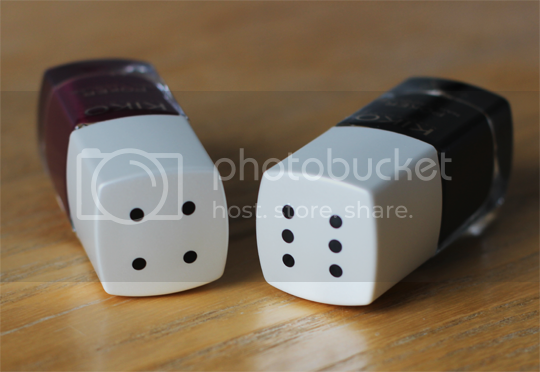 There’s even a sextet of 5-free Poker Nail Lacquers (£5.90 each, pictured above) with dice numbers on the caps – adorable.